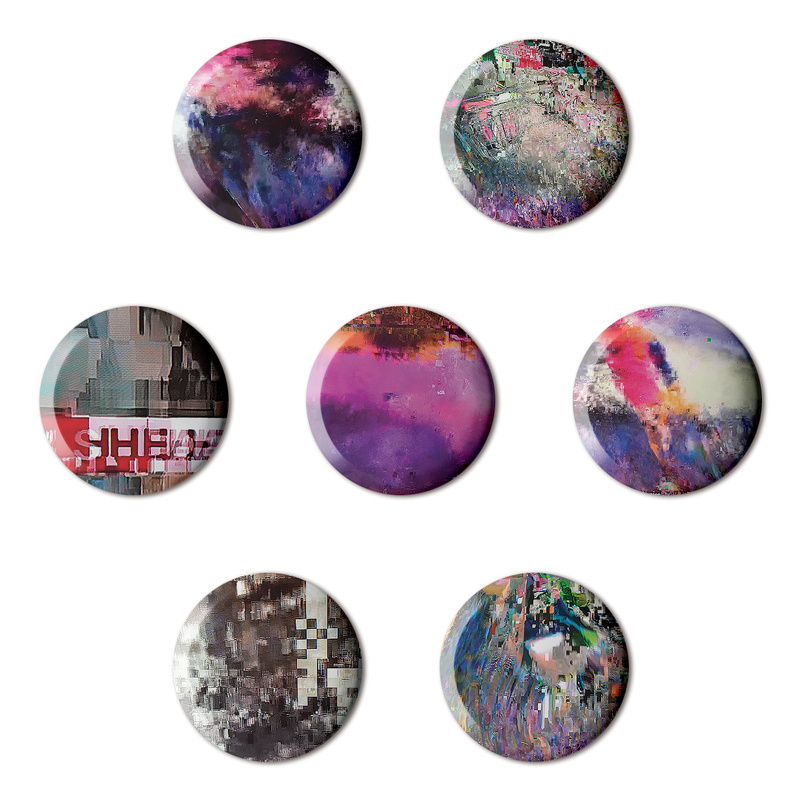 These seven artworks are from button badge gift box Glitch containing badges from B.I.O. 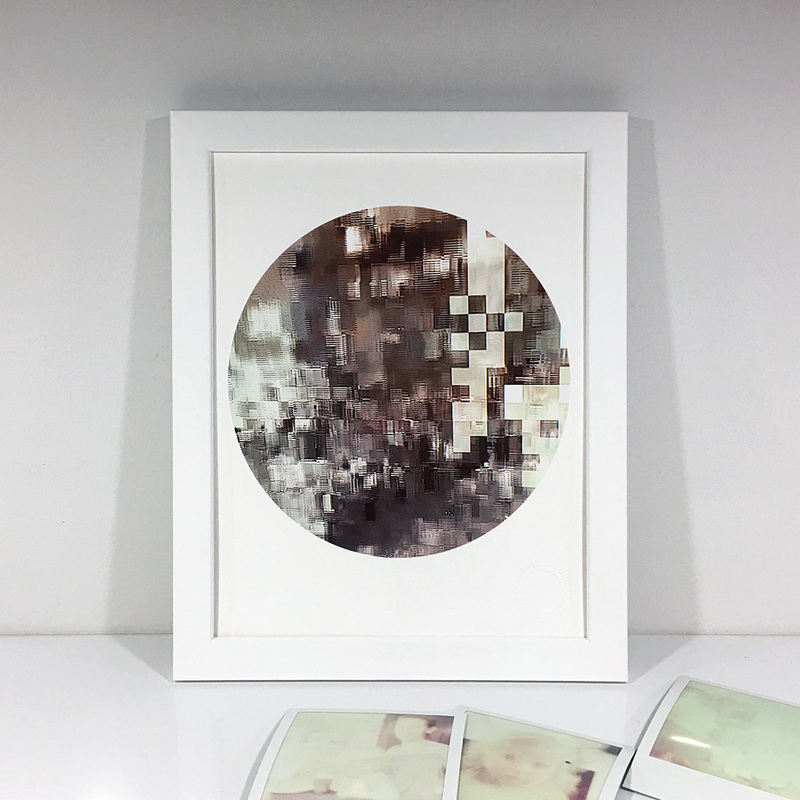 (By Invitation Only) Button Badge Series 16. 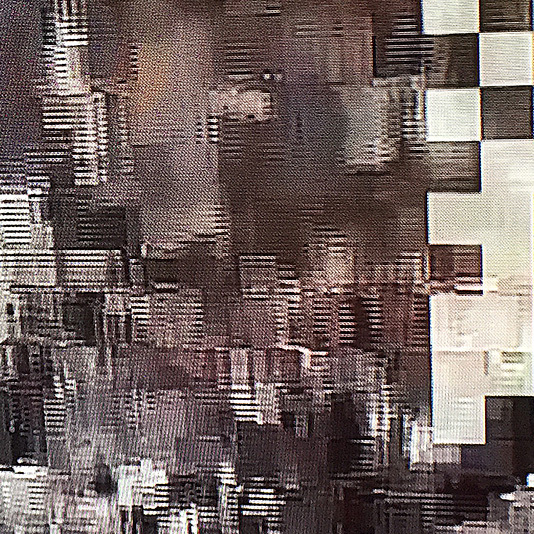 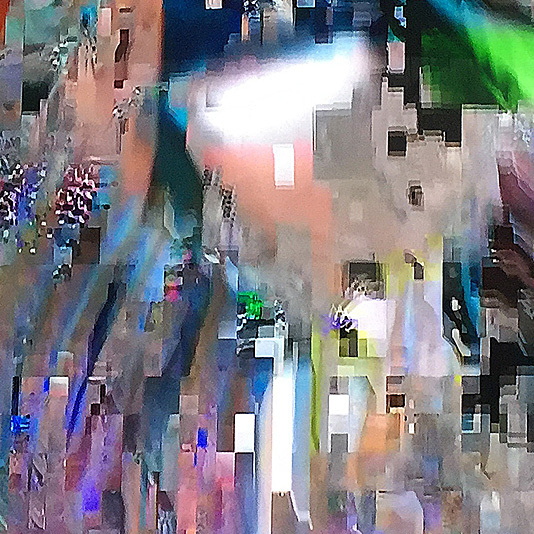 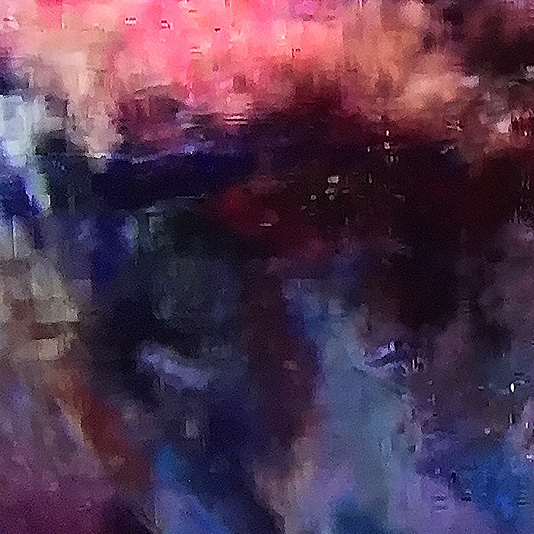 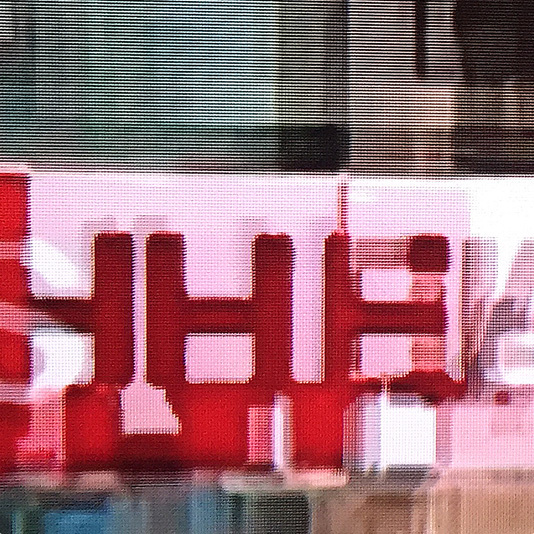 The artworks show photographic details of glitch visuals by FL@33's Tomi Vollauschek from his collection of screenshots, photographs and digitally manipulated pictures that embrace random and often unexpected errors that technology confronts us with. 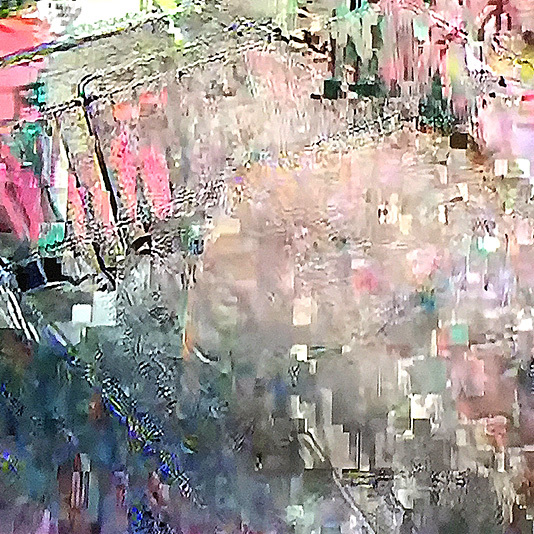 ___ Tomi's glitch artworks celebrate technology's aesthetics – inside and beyond the physical machines such as computers, hand-held touchscreen devices, film and photo cameras and in case of these glitch motifs – HD TV screens. 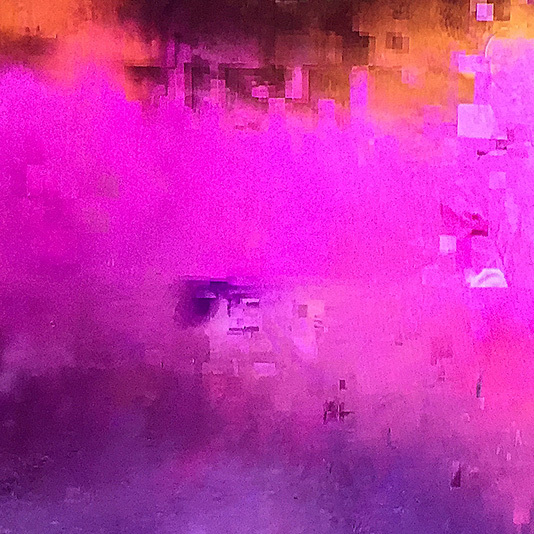 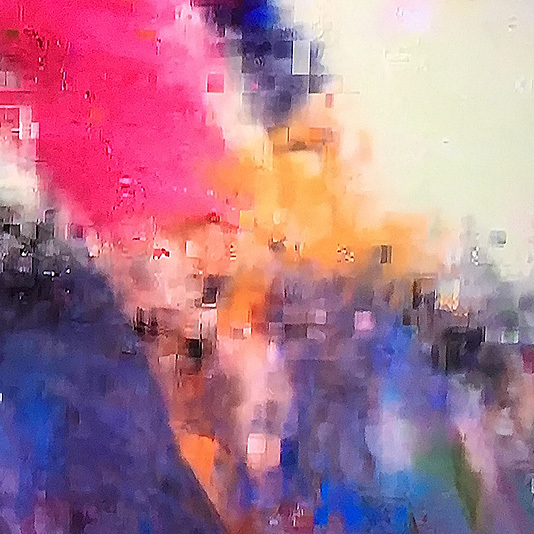 ___ Gradients and blurry shapes and colours are seemingly created with 'digital watercolour' – brief moments when frames per second meet data streaming struggles. 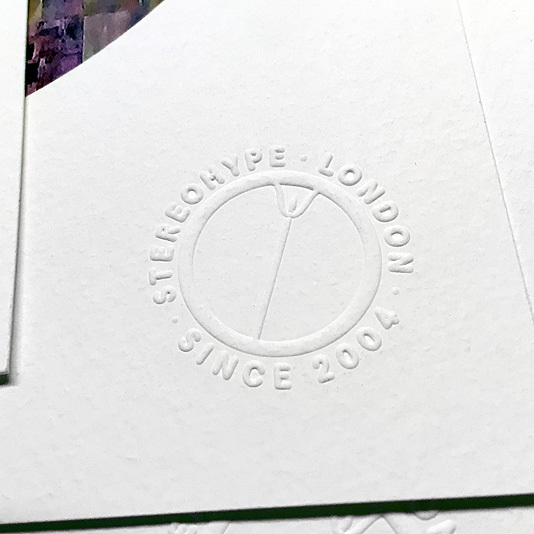 FL@33 developed a new print edition idea for graphic art label and online boutique Stereohype – the studio's sister-company. 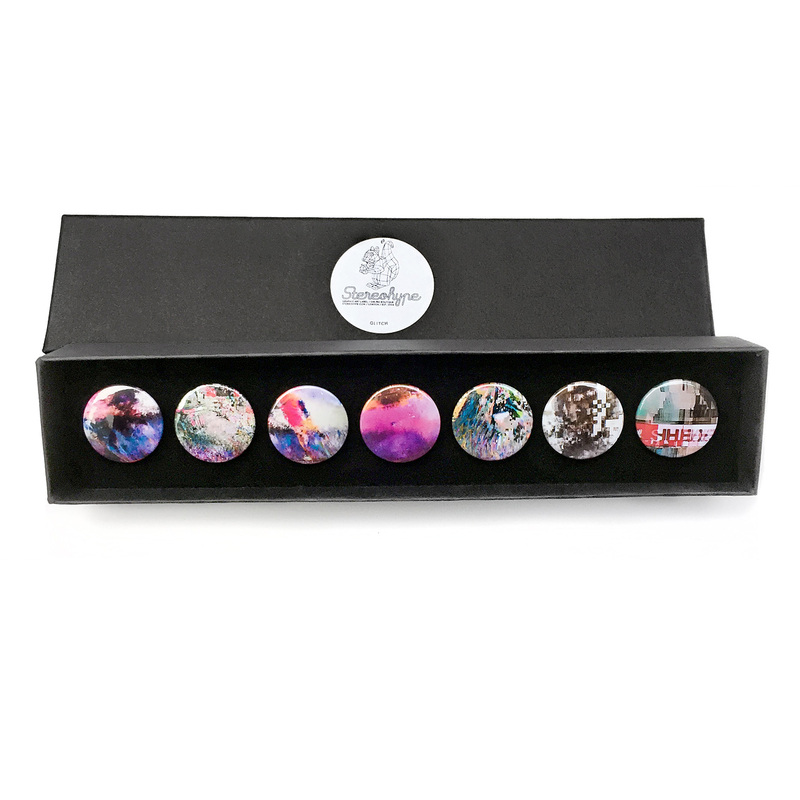 The edition is called Button Badge Motif Prints. 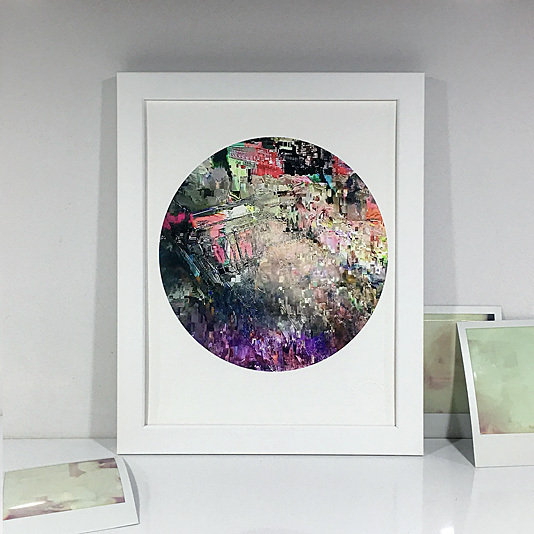 ___ The super-vibrant Fine Art Giclée Prints feature selected designs from Stereohype's ever-growing one inch (25mm) button badge collection. 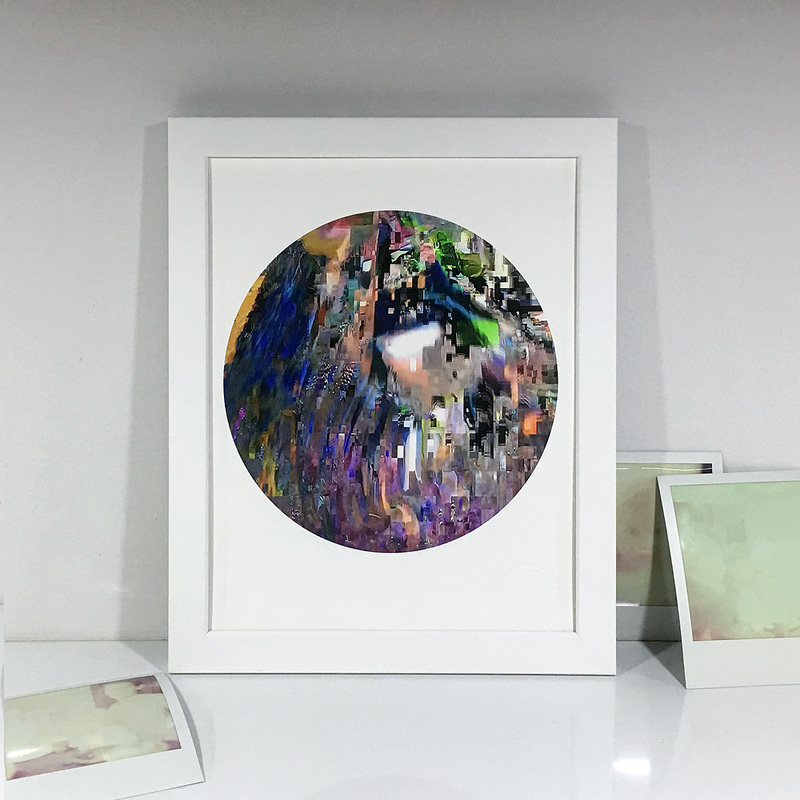 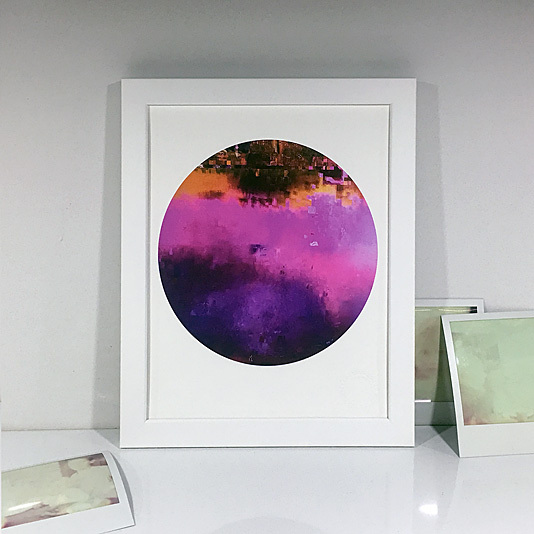 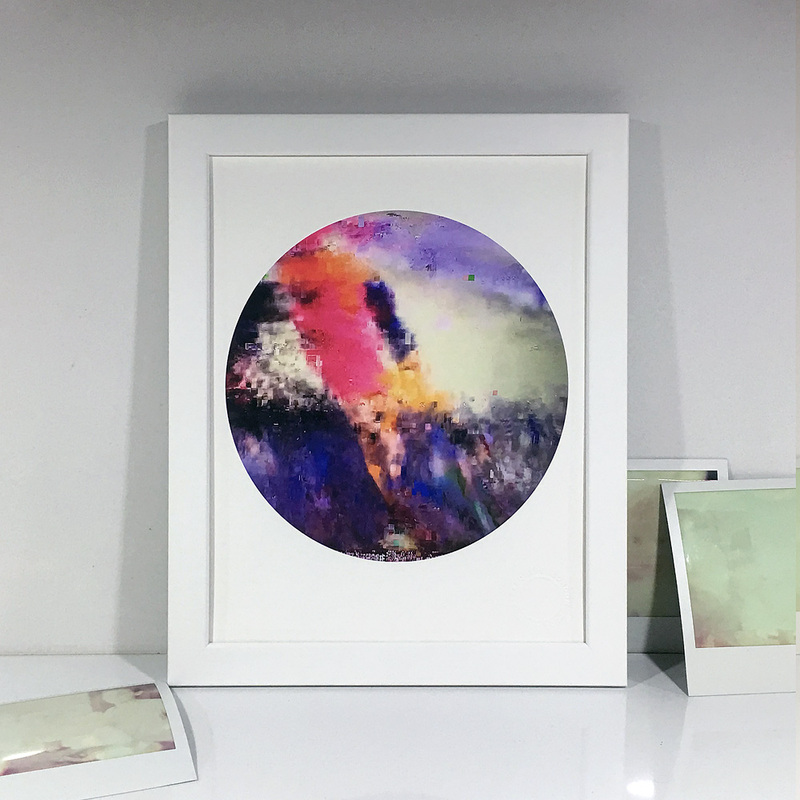 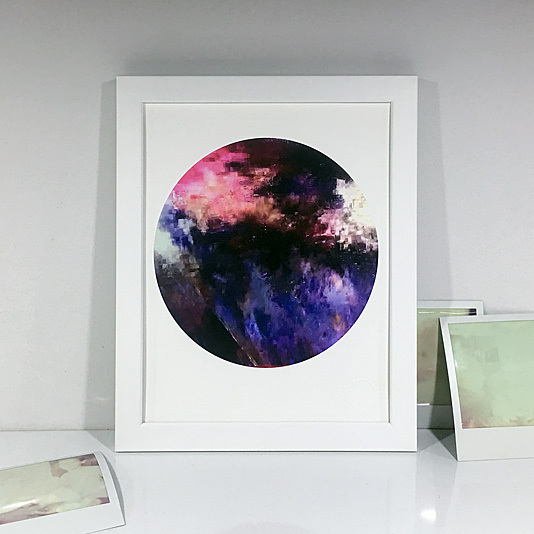 High resolution files of the circular artworks are enlarged to seven inch (178mm) and printed with love and vivid archival inks on a beautifully textured 310gsm Hahnemühle paper (portrait, 8x10" / 203x254mm). 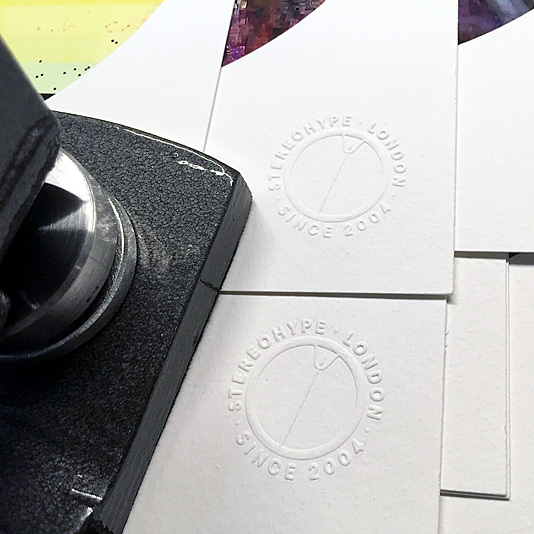 Prints are then embossed with a badge-sized Stereohype certification seal that FL@33 designed. 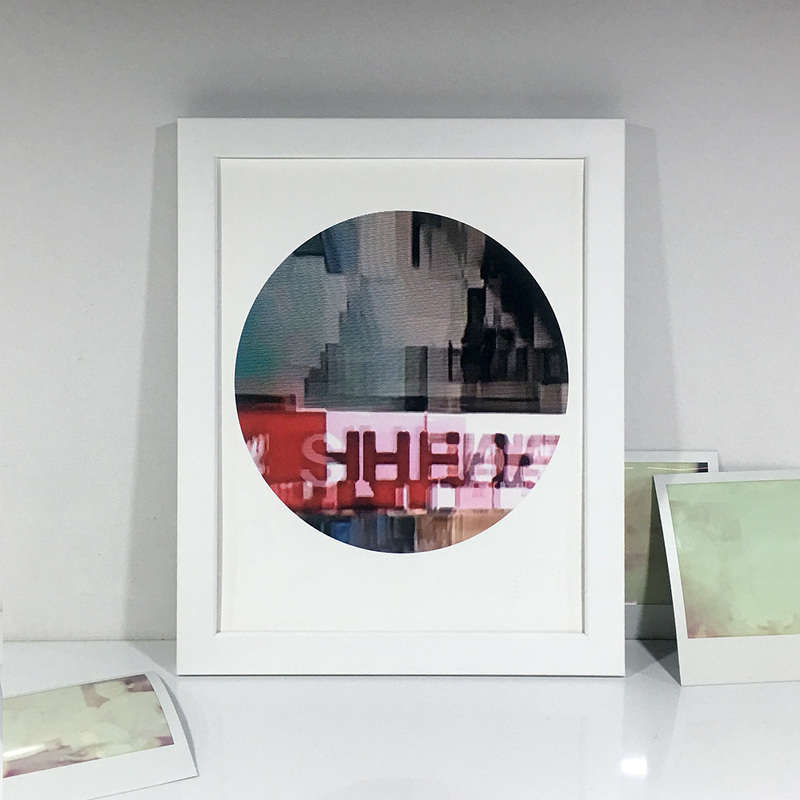 ___ In the first year after launching this latest print edition Stereohype added just under 200 artworks to its collection. The print series promises to quickly grow to be as eclectic as Stereohype's widely-acclaimed button badge collection that already features over 1,450 artworks by over 500 established and emerging illustrators, graphic designers, typographers, photographers and artists from around the world.